This blog is a “tale of two boats” — our 2nd Kindred Spirit, the Morgan 43 Center Cockpit and our 3rd Kindred Spirit, our trawler. 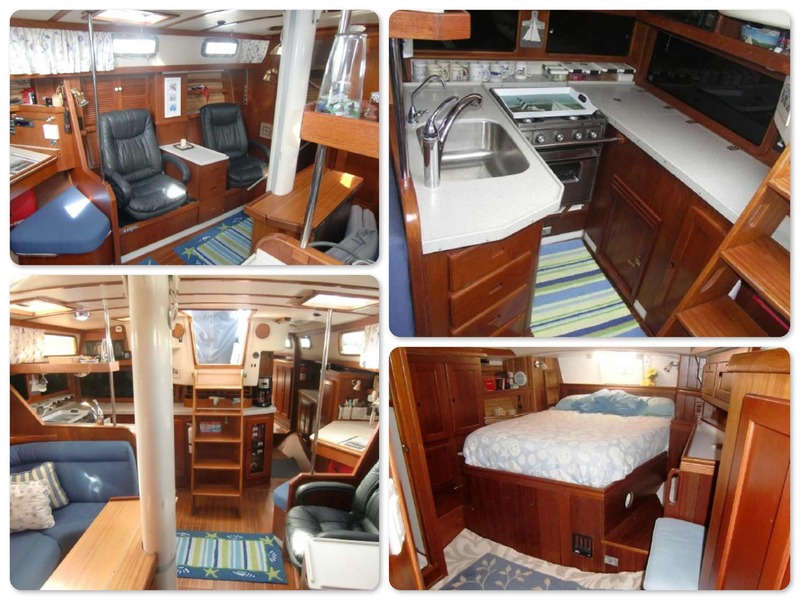 Kindred Spirit #3: We purchased our trawler, a 2003 Mariner Orient 38 in July, 2014. Mariner Yachts began importing yachts into the U.S. market in 2001. Mariners are designed and built by American, Canadian, and Chinese companies with manufacturing facilities based in mainland China. They were distributed in the U.S by Island Yacht Brokers on Kent Island, Maryland. And Kent Island is exactly where we found this one with only 600 hours on the engine. We are often asked, what is a trawler? (by our non-marine friends). 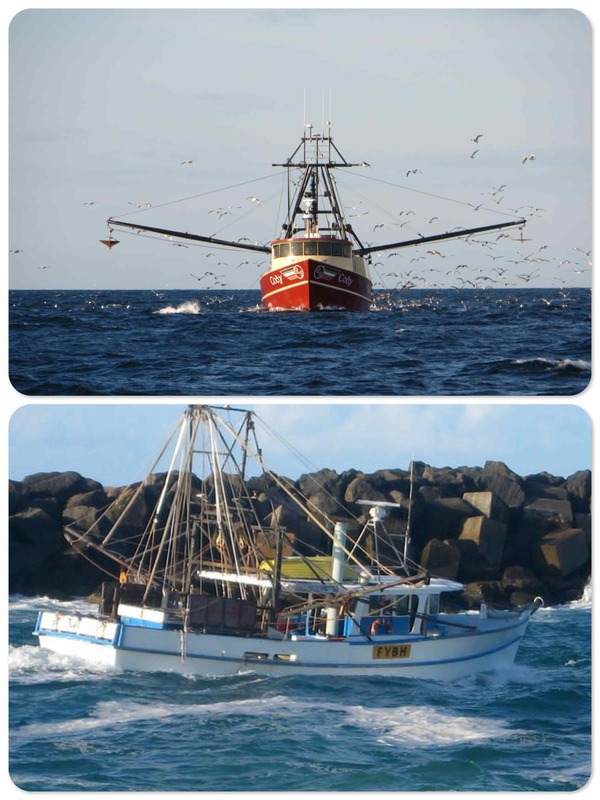 Wikipedia clarifies the difference between a fishing trawler and a recreational trawler. Recreational trawlers are pleasure boats which resemble fishing trawlers. They can also be called cruising trawlers or trawler yachts. Within the category, however, are many types and styles of vessels, from the basic and simple to very very expensive and well-equipped ones. A fishing trawler for example, always has a displacement hull for load-carrying capacity. Traditional ones also have “arms” that extend out to stabilize the boat or to hold nets. 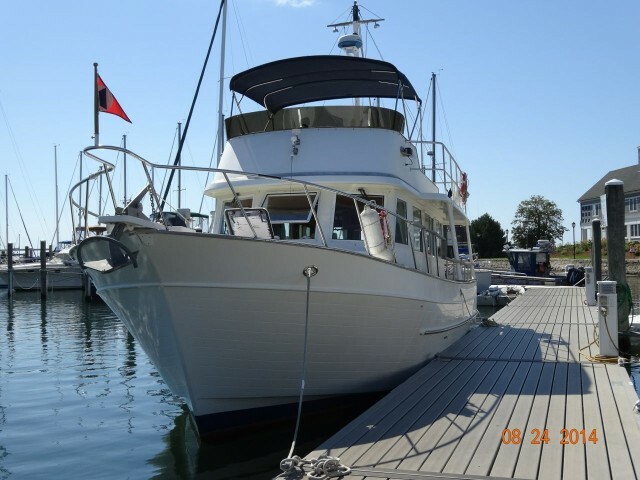 Recreational trawlers, on the other hand, are as likely to have a semi-displacement hull. The typical cruising speed of a recreational trawler is 7-9 knots depending on the boat length, with a maximum speed of 10-12 knots. Larger engines or twin engines can attain 14-20 knots. 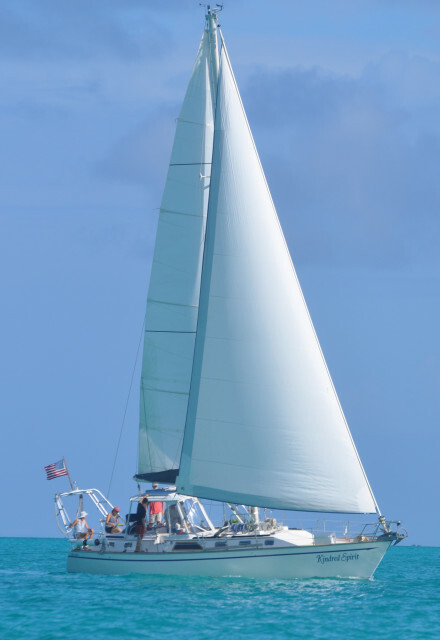 In “Whiff of Workboat” (Jan/Feb 2013 issue of PassageMaker ) Peter Swanson writes, “A trawler is a recreational vessel reminiscent of a workboat above the waterline, which appeals to buyers wanting to cruise at slow speeds, at least part of the time.” The slow speed is what appeals to us former sailors. We aren’t really interested in fast speeds, just decent speeds. “What is the trawler lifestyle? 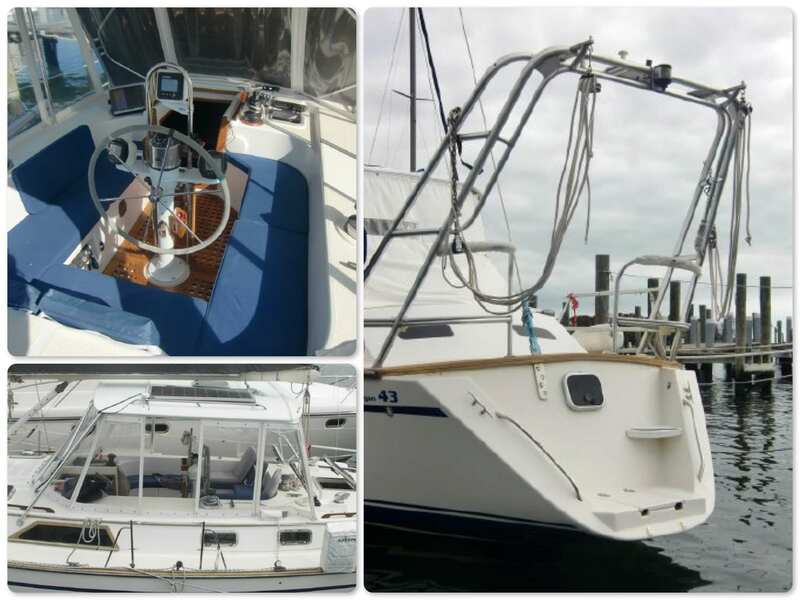 Quite simply, it is the sailors cruising lifestyle in a power boat. • The flybridge is a very cool place – great view! Kindred Spirit #2: Although we no longer have our lovely Morgan, she deserves to forever remain a part of this page, thus the title, “The Boats“. This blog began in honor of our Bahama adventure on her during the fall/winter/spring of 2013-2014. We owned our 1987 43 foot Morgan Center Cockpit for 12 years, from February, 2002 until June, 2014. 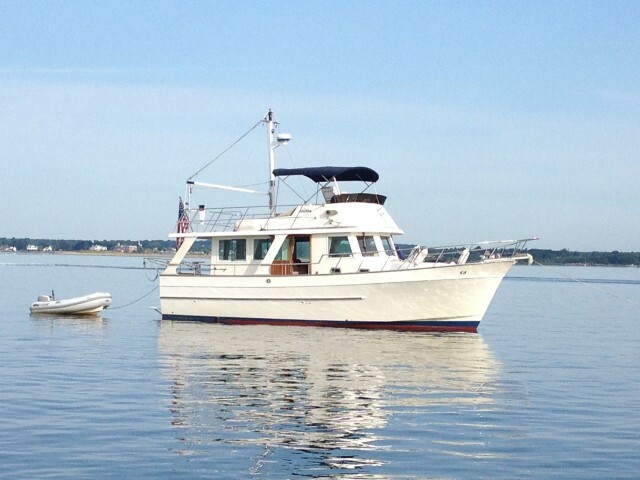 We enjoyed many years of cruising and sailing her in the New England waters as well as down the ICW and the Bahamas. Al and Michele, Thanks again for letting see the inside of Kindred Spirit, while you were at MBYC. I’ve been researching Mariner yachts since the weekend you informed us about the boat. We’re very happy now knowing what our next boat will be. Congratulations on your new adventure. 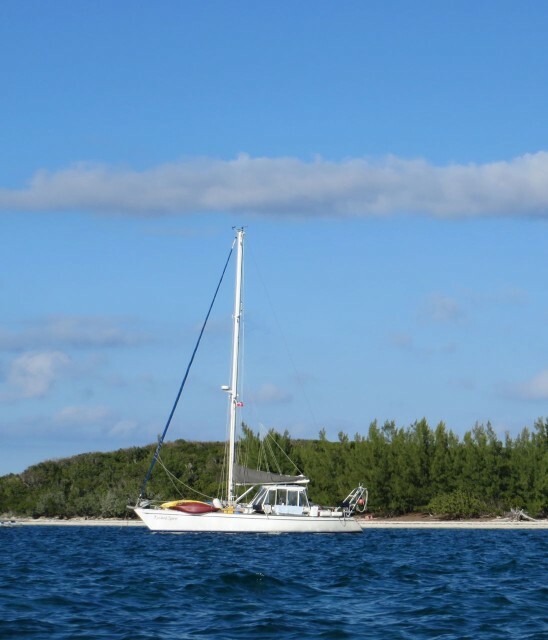 I will be following your travels as my wife, Cindy, and I are currently refitting a 1985 43 foot Morgan Sloop that we bought last October and plan to set sail in a few years. It’s always interesting looking at pictures of other 43’s and seeing how they are laid out and the little touches people have done to make them home. Our boat is currently on the hard at Gloucester Point, Virginia. I know you are currently making your way down the Chesapeake Bay, if you plan on stopping by Gloucester Point and or Yorktown area please let us know, it would be nice to compare boats.